A set of two Van Gogh porcelain espresso cups with excerpts from the world famous painting Wheatfield with crows by Vincent Van Gogh. Colourful and practical as they can be washed in the dishwasher. 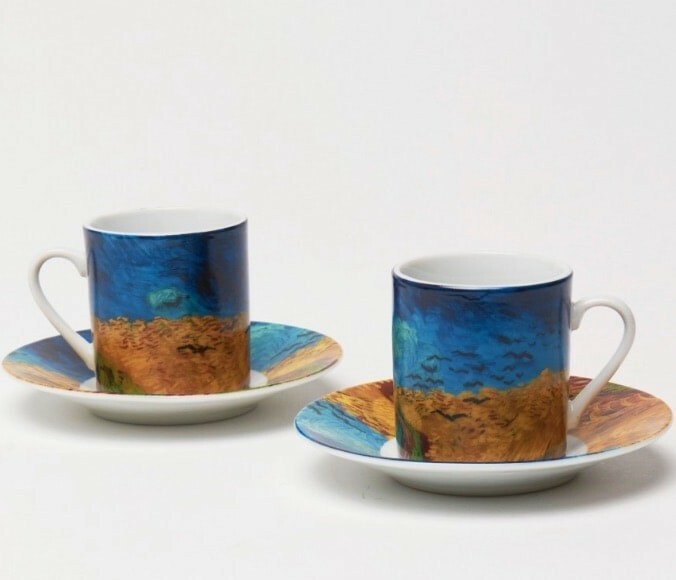 This set of two espresso cups porcelain is decorated with fragments from the masterpiece Wheatfield with crows by Vincent Van Gogh. 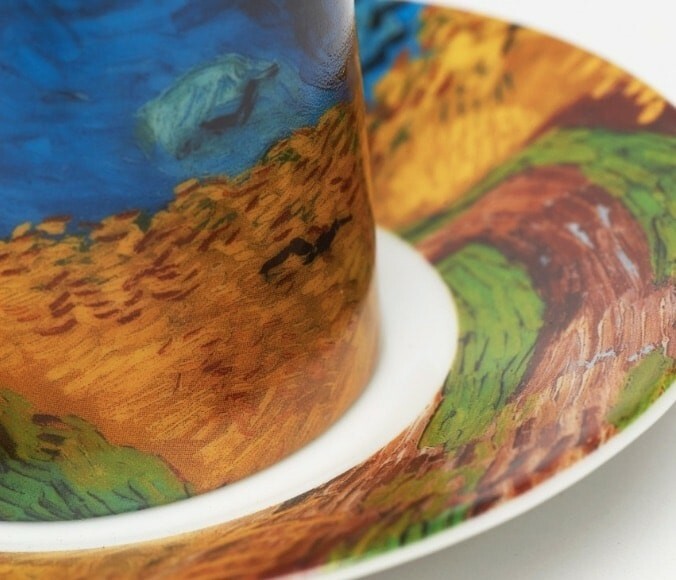 These espresso cups are specifically designed for the Van Gogh Museum in Amsterdam. One of the last paintings by Vincent van Gogh (1853-1890), painted while he was living in Auvers-Sur-Oise, France. An oil painting of a series of landscapes on an exceptional canvas size of 100 x 50 cm. In a letter to his brother Theo, he wrote that he wanted to express sorrow and loneliness in these paintings, but at the same time, he wanted to show how 'healthy and heartening' the countryside was in his experience. Van Gogh used strong colour combinations in "Wheatfield with Crows": the blue sky contrasts with the yellow-orange of the wheat field, while the red of the trail is amplified by the green lines of the grass. 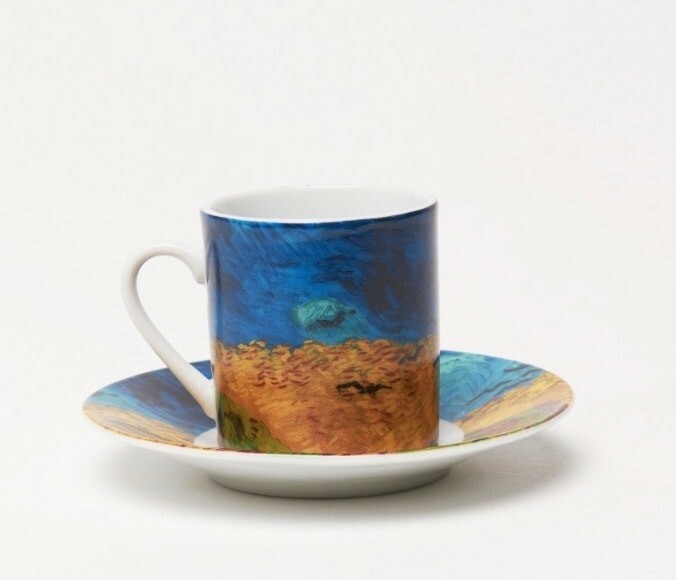 The painting is on display in the Van Gogh Museum in Amsterdam.